Golf carts are increasingly becoming popular in retirement communities and developments for active adults across the country, especially in Florida, where such a large percentage of our state consists of citizens in retirement. For example, in one Orlando-based retirement community alone, there are reportedly close to 65,000 golf carts used by residents. Whether it’s on community grounds, or even on short trips to the supermarket or to a doctor’s appointments, the cars are often appealing due to how convenient and efficient they are. However, concerns over how safe they are remain prevalent. In fact, due to the fact that the carts arae only partially enclosed, golf carts leave the people in them just as vulnerable as pedestrians and cyclists when it comes to the potential to be severely injured or killed in auto accidents. When you combine this with the fact that older adults are already more vulnerable in general to injuries and the complications that can arise from accidents, you have a recipe for disaster. For retirement communities in particular, a huge safety issue involves people falling out of the carts when drivers make a quick turn, as the cars are lacking in both seatbelts and doors. According to the Consumer Product Safety Commission, in 2015 alone, close to 20,000 golf cart-related accidents led to injuries that required emergency room treatment. Certain developments in Florida alone have had close to 100 rescue and emergency medical service incidents involving golf carts each year, with a majority of these incidents involving injuries. And these numbers are only increasing: Due to the increased use of golf carts in general, the number of golf cart-related accidents has tripled since 1991. 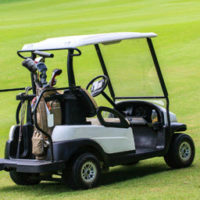 To date, golf carts are still not required to follow any particular federal safety standards; even basic requirements like drivers and passengers wearing seatbelts are lacking. This might be because they weren’t designed to be used on public roads; but regardless, many states do allow them to be used on public roads, and as a result, they are akin to death traps on these roads. Add to that the fact that people sometimes choose to ride on the back of the carts–sometimes even while they are inebriated–and you have the perfect recipe for both disaster and litigation. For example, earlier this month, a professional golf caddie filed a lawsuit over a golf cart crash that allegedly involved reckless driving. Friedland & Associates has represented many Florida citizens seriously injured or killed while using or as a result of golf carts. If you or someone you love has been injured in a golf cart accident, we would be happy to discuss your case and any available options you may have. Contact us today for assistance. We are ready and willing to come to you for your convenience.